Flowering Astilbe is an excellent perennial for part shade to shady locations. 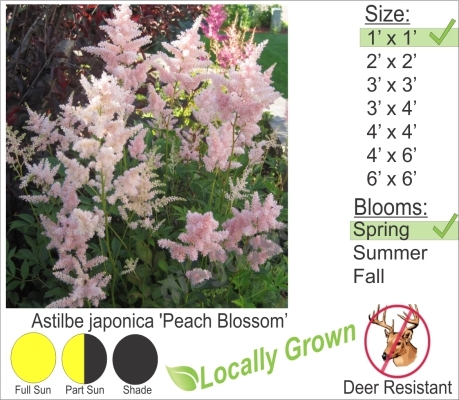 Astilbe can tolerate dry conditions and its foliage resembles a fern. Flowering occurs in late spring and this hardy perennial is also deer resistant. Have seen this perennial survive hostile locations where there is heavy deer feeding over at my mother in law’s home.